Vietnam is a great place to start if you’re visiting Southeast Asia. A rich cultural history, incredible scenery and friendly locals are just some of the exciting things you’ll experience whilst backpacking Vietnam. Add to that delicious food, budget accommodation and wonderful weather, and you’ve got no excuses not to visit! Backpacking Vietnam is definitely a bucket-list worthy trip. 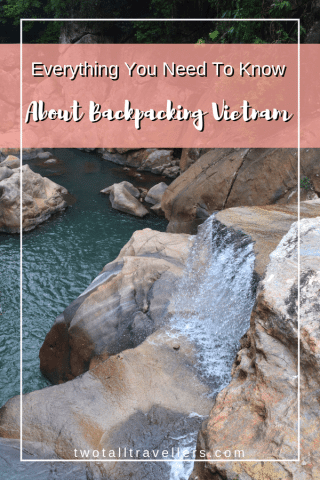 There’s a lot to plan though – so this backpacker’s guide to Vietnam has all you’ll need to know about the country, from learning the currency to planning your Vietnam visa. You’ll find out about the best places to visit, along with budget accommodation recommendations and the food that Vietnam is famous for! There are so many great things to do in Vietnam, from winding down on beautiful beaches to exploring UNESCO World Heritage sites and even surfing Vietnam’s awesome waves, that you’ll wonder why you didn’t visit earlier! Always plan ahead, so think about booking your trip at least a few months in advance. That way, you’ll be able to grab the best deals on hotels, and purchase any essential items you need to pack. This travel guide to travelling Vietnam will tell you everything you need to know about your upcoming trip. We have linked to plenty of Vietnam blog posts, including top itineraries and things to do, within the guide so that you can find all the information in one place. Is backpacking Vietnam alone safe? How long should I spend backpacking Vietnam? How much money do I need for backpacking Vietnam? Do they speak English in Vietnam? What is the best currency to use in Vietnam? Should I tip in Vietnam? It should be easy to travel Vietnam on a budget, even if you’re travelling solo. Accommodation is super cheap, their transport is really accessible and you can eat like a king for next to nothing. You can easily live off less than $20 USD per day. Remember to budget for activities and tours though, which can put the price up because they are usually catering for tourists. If you’re really limiting your spending, then you really could live off less than $20 per day including accommodation. However, if you want to take part in lots of tours and activities then plan ahead and budget accordingly. If you’re British, you’ll be able to visit Vietnam visa-free for up to 15 days. Staying longer than two weeks? Organise an e-visa before you go and you’ll be able to chill out in Vietnam for 30 days. US citizens must have a visa for any length of time, so apply online for $25 and you’ll get stamped into the country when you arrive. The same goes for Aussies too – check the details with your own countries government website. Only click on a visa link from there too. There are lots of visa scams online so you can easily be fooled into paying for something you don’t get and then be refused entry into the country. The first thing you should do when planning your Vietnam trip is to talk to a health professional! They’ll be able to tell you if you need any jabs, or if there are certain health risks for you as an individual. For a trip backpacking Vietnam, you’ll likely to be told to make sure your general jabs are up to date like they should be in your home country. Don’t take our word for it though – we’re not medically trained so speak to someone who is before you just jet off because you got your routine check last week! Another important thing to tick off your to-do list is to buy travel insurance. You might want to save money but in the long run it’s too much of a risk. If you have an accident (not unlikely in a place where people recklessly zoom around on scooters!) then you’ll be beyond relieved to know that you won’t have to pay out for that hospital stay. It’s just common sense – get travel insurance! Vietnam is a fantastic place to visit any time of the year – there is so much to do that the weather doesn’t necessarily dictate when you should go. However, there are different seasons across the country. Spring (Feb-Apr) or Autumn (Aug-Oct) tend to be warm and pleasant in the North. It can get quite cold at the beginning of the year, and be prepared for a little drizzle too. During the summer (May-Oct), you might experience monsoon weather. In Vietnam tourism increases in these months, despite being wet and rather hot. It might be best to avoid visiting around this time if you want to travel without the crowds! January tends to be a quieter time to visit because of the New Year holiday. 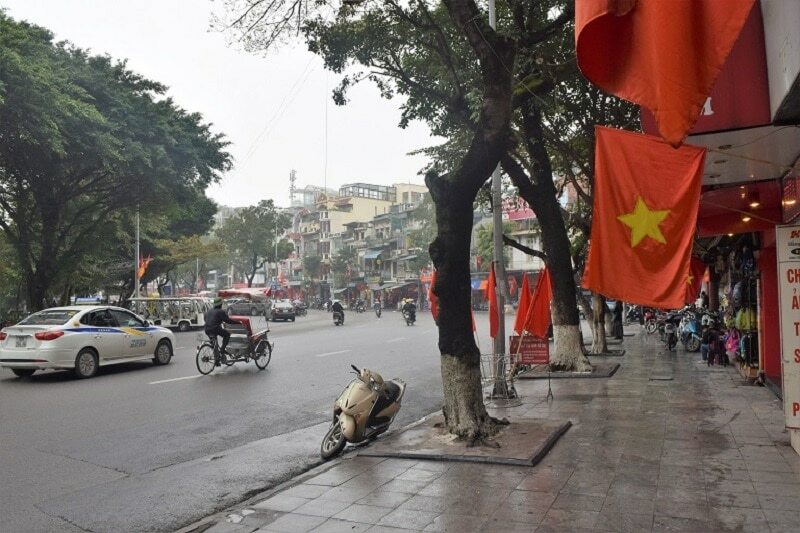 The Vietnam weather forecast is usually hot and sunny all year round the further south you go. Ninh Binh is gorgeous at any time of year because of the rains, and you only need to avoid Hoi An during their rainy season in October/November. Past Dalat, and there might be a few rainy outbursts but nothing that should ruin your trip! Visit Sapa, Hanoi and Hue during the spring. 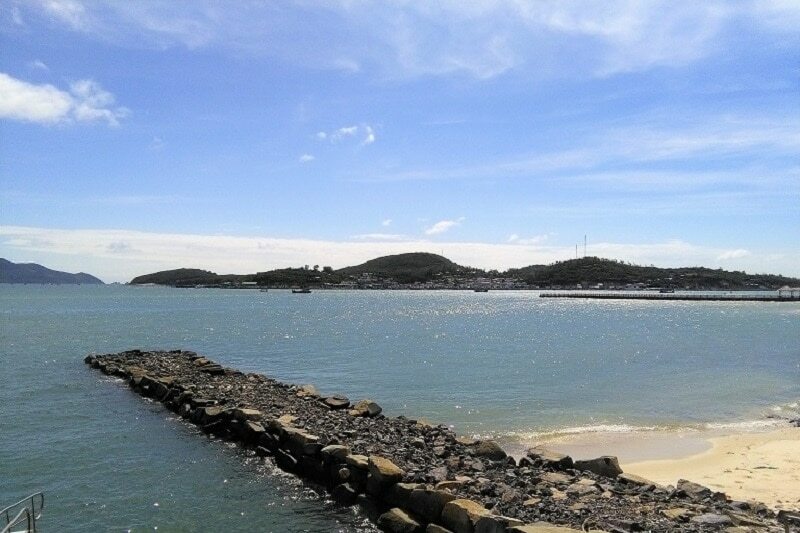 In summer, go to Nha Trang or Phu Quoc. Travelling in Autumn? Stay in Halong Bay. Make your way down south to Dalat and Ho Chi Minh City for the winter. Mosquitos love backpackers. People forget that they’re in a tropical country and go around their day in shorts and a t-shirt because it’s too hot. Yes, it’s warm but the mosquitoes carrying dengue fever buzz around in the daytime, and there’s no vaccination for that nasty illness! Choose a good mosquito repellent to carry around with you at all times. You could also try wearing a mosquito repellent bracelet. Even if you do spray yourself constantly, mosquitoes will bite you so also packa bite relief cream to stop you from scratching your skin off! Girls, pack a light shawl and below the knee shorts or thin trousers for when you visit temples and sacred areas. Guys, consider the shorts too! You don’t want to offend anyone or get turned away from Angkor Wat just because you’re wearing the wrong clothes! Depending on when you go, you might want to think about packing (or buying once you are there) a light raincoat or poncho. It can get quite chilly in the north at certain times of the year. If you’re thinking of staying in a budget hotel, then consider bringing your own sturdy padlocks. Often, the ones you are provided are either very cheap and can be broken easily, or do not come new out of the packet. You don’t want to be given a lock that may have other keys able to open it! The main airports in Vietnam are Ho Chi Minh City, Hanoi and Da Nang. It takes roughly 11 hours to fly from the UK. That’s not too bad a flight time but do your research if you prefer to enjoy a stopover. Check comparison sites like Skyscanner to grab the best deals. Prices do fluctuate depending on the season too – for example, in Vietnam holidays such as the huge New Year festival called Tet in January/February time will push prices up! You’ll pay more to fly to Vietnam during these times. Travelling on a sleeper train in Vietnam is a must! The long distance trains are incredible value, and fairly comfortable too. They’re a great way to travel and it means that you save on a hotel room for the night whilst travelling to your next destination. 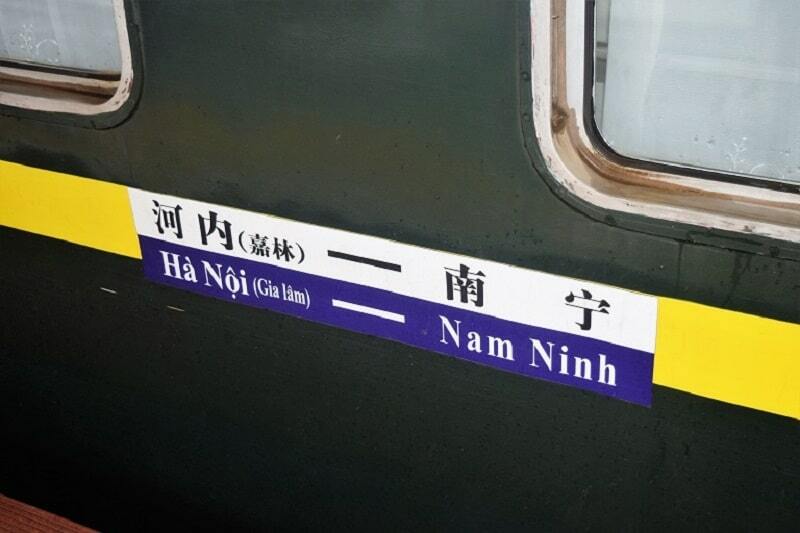 If you’re in China, you can get a train all the way from Nanning to Hanoi, which is an 11-hour overnight trip. It’ll only cost you £28.50/$38/50AUD and that’s for a journey spanning over 246 miles! You do have to get off the train halfway through to get your passport stamped and allow the train to be changed from a Chinese one to a Vietnamese one. Book your tickets with a company like Baolau, who has an easy to navigate website that’s in English! If you’re travelling from China to Vietnam, when you get off the train at the border you should change your money here. The trains are fun, but they don’t tend to save you much money if you’re flying from somewhere like Hanoi to Nha Trang, for example. It can often be cheaper, quicker + more comfortable to fly so we recommend experiencing the trains at least once but don’t rely on them for budget travel. You can travel by bus into the country too. Choose a company with air-conditioned buses! You can turn up to a travel agency on the day and buy a ticket, but to be safe it’s better to book in advance. Giant Ibis is a great company who provide a small snack and plenty of cold water throughout your trip. It only takes 6 and a half hours to travel to Phnom Penh in Cambodia to Ho Chi Minh City. Vietnam is a great place for backpackers because it’s easy to start and one end and finish at another without going back on yourself at all. Check out the map below to pinpoint where you want to go! 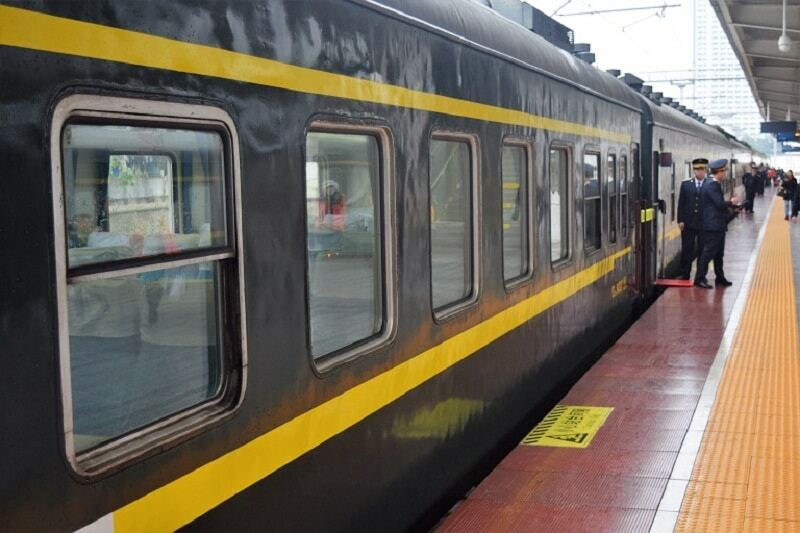 As mentioned before, sleeper trains are a fantastic way to explore Vietnam without breaking your budget. Travel overnight for less than £30, and see the country in a way that you’d never experience if you were on a plane. In Vietnam the trains are comfortable and you’ll enjoy the fantastic scenery on your journey. Taxis are common in populated areas. Make sure you find an official one. They’re easy to spot as they’ll be all over town using certain colours and logos. Check the meter is on before you travel too. If you’re looking to travel long distance on a bus, find a bus station and start your journey from there. Staying local? Buy your ticket from the conductor but be aware that you might be going the long way around without air conditioning. Sometimes it’s worth paying a bit extra for a taxi! 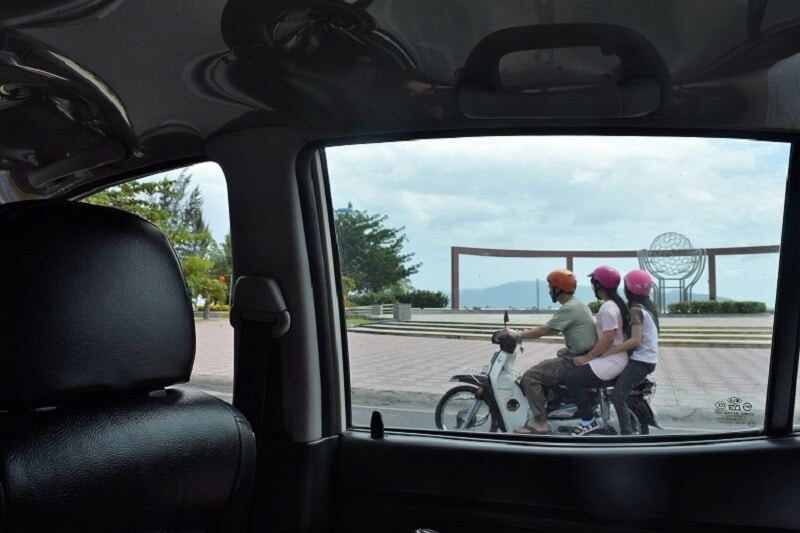 We don’t recommend riding a motorbike in Vietnam! 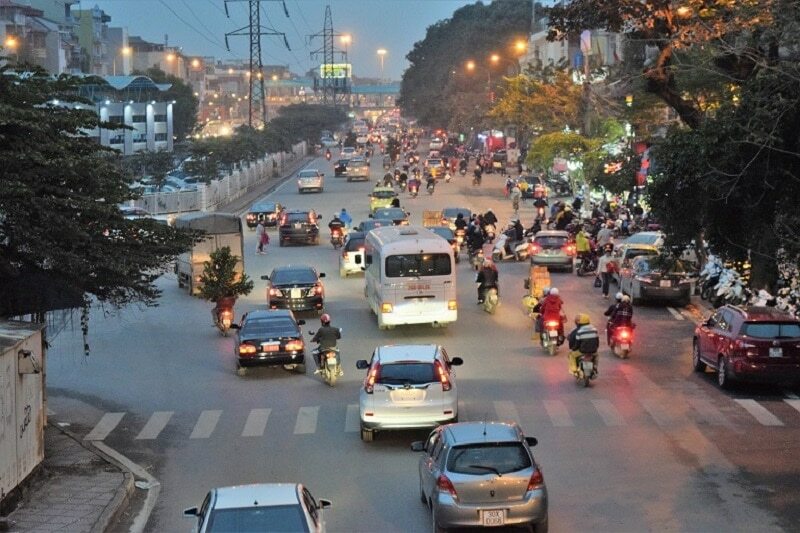 It may sound fun and exciting, but there are so many traffic accidents on Vietnamese roads that it’s really not worth risking it. Not only are the drivers often reckless, but the roads can be narrow and unmarked. If you really are desperate to ride a motorbike yourself, do your research and don’t pay over the odds for one. Make sure it’s safe to ride and make sure that your travel insurance covers you! Finding the perfect accommodation can be tricky, but don’t rush your choices! Think about whether you need a private room, breakfast included in the room rate, or an amazing swimming pool. Don’t pick the first hotel you see – look at guest reviews and pictures! Sometimes a hotel may claim to have free Wifi, but when you read the reviews, the signal is so bad it’s not worth using! 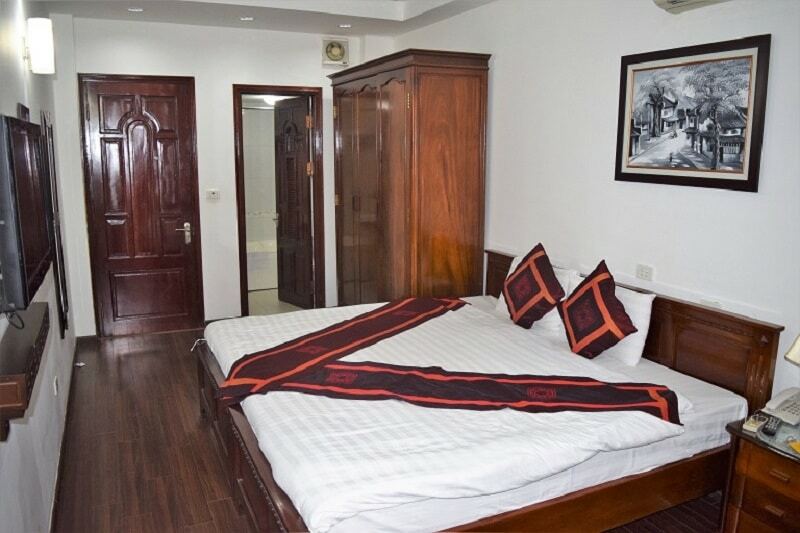 Hostels in Vietnam offer cheap dormitory rooms and are a great way to save money – if you’re travelling solo. Sometimes, a private room works out cheaper or nearly the same price if there’s two of you. And the luxury of being able to sleep undisturbed is often worth that extra £1! Have you ever used Airbnb? Stay with a local, or rent out a whole apartment for incredibly low prices! Plus if you book through this link, you’ll receive £28 off your first stay! Vietnam has some gorgeous countryside towns, bustling cities and perfectly formed landscapes. You have plenty of options when organising where to go in Vietnam, so try and see a variety of each of them, as the individuality of each place will blow you away. Plan your backpacking Vietnam itinerary from north to south or vice versa, and aim to spend at least 3-4 days in each town. 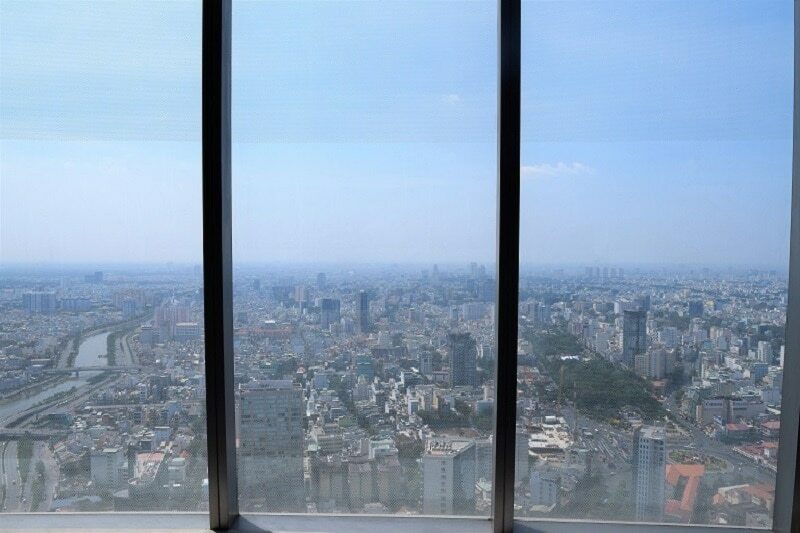 Still referred to as Saigon, HCMC is one of the busier and most popular cities. 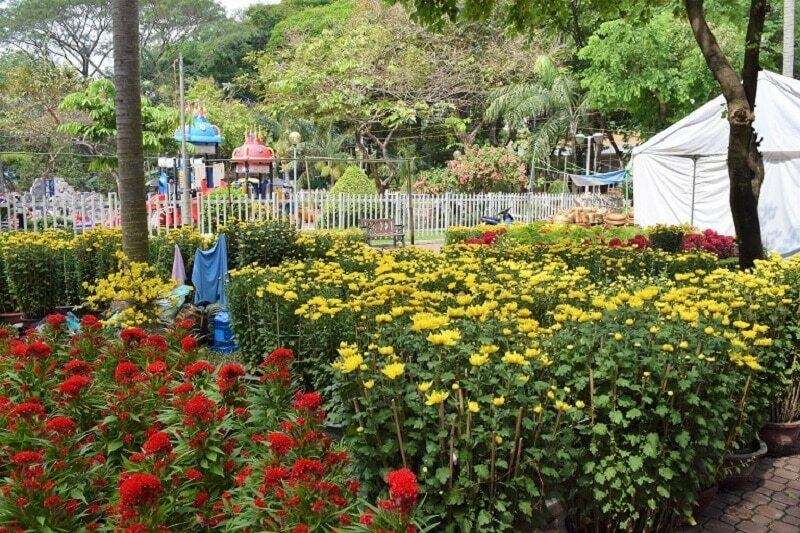 You’ll find plenty of things to do in Saigon, so plan a few days here to take it all in. There’s plenty of shocking history to learn about too. 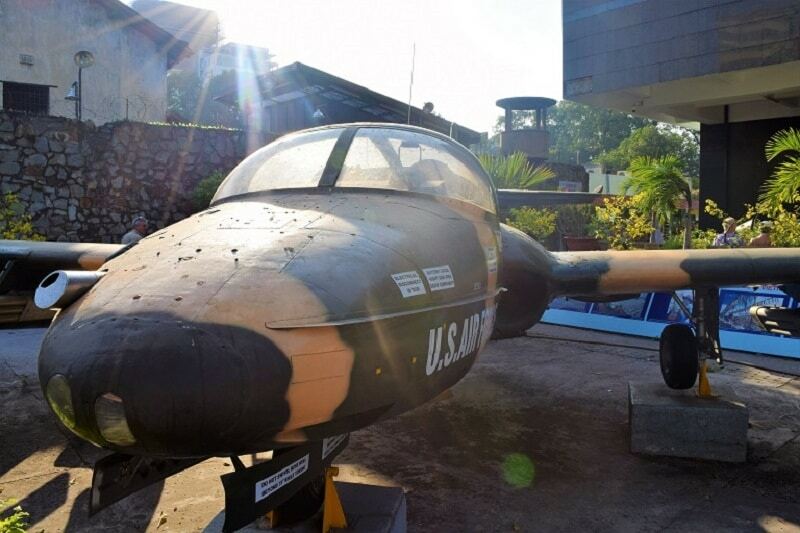 Make sure you visit the Cu Chi tunnels, the War Remnants Museum and the Notre Dame Cathedral. Don’t leave without spending a morning wandering through the remarkable shopping markets – buy fresh food, a locally painted canvas or a handcrafted souvenir. If you’re looking for a bit of luxury, visit the Bitexco Tower and sip a cocktail from the 52nd floor, overlooking the sprawling city. Take a nighttime food tour too, to fully understand what Vietnamese cuisine is all about! Saigon’s adorable little brother located in northern Vietnam, Hanoi’s biggest draw is it’s Old Quarter. Make your way through the tiny alleys, indulge in some of Vietnam’s best street food, and consume some of the cheapest beer you’ll ever find. 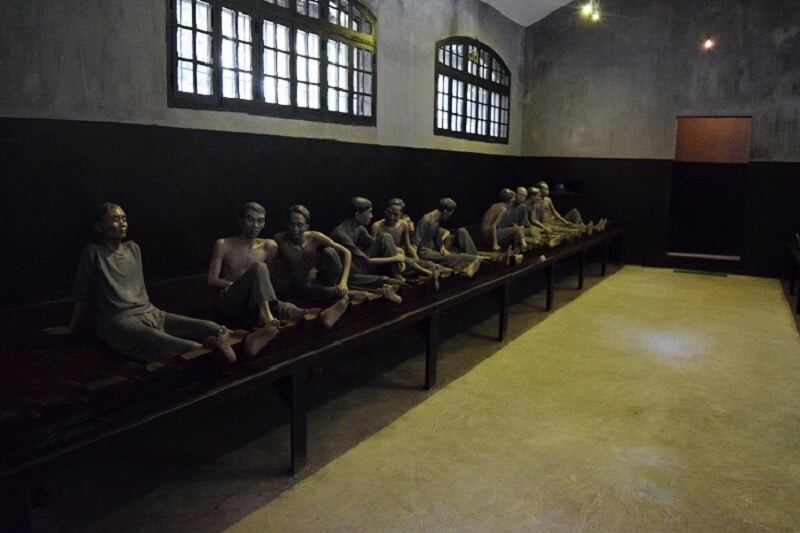 Once you’ve enjoyed a few treats, take a step back and visit the terrible Hoa La Prison museum for a decent history lesson. The Ho Chi Minh Museum and Mausoleum also make for an interesting visit. 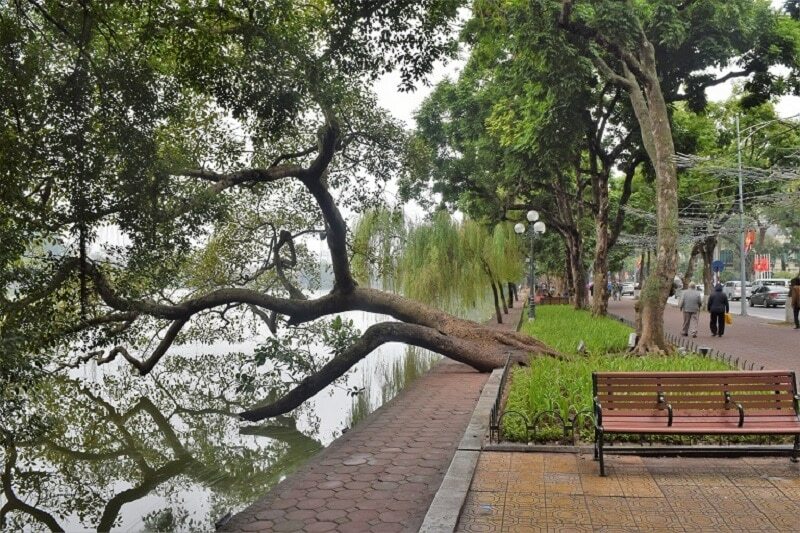 Relax with a body massage, and spend your evenings winding down with a walk around the symbolic Hoan Kiem Lake. Ever wanted to have your own tailored clothes? Sleepy Hoi An is the place to go! Find expert tailors and quality materials (if you look in the right places!) Take a trip to the Ancient Town, the riverside and An Bang beach too. 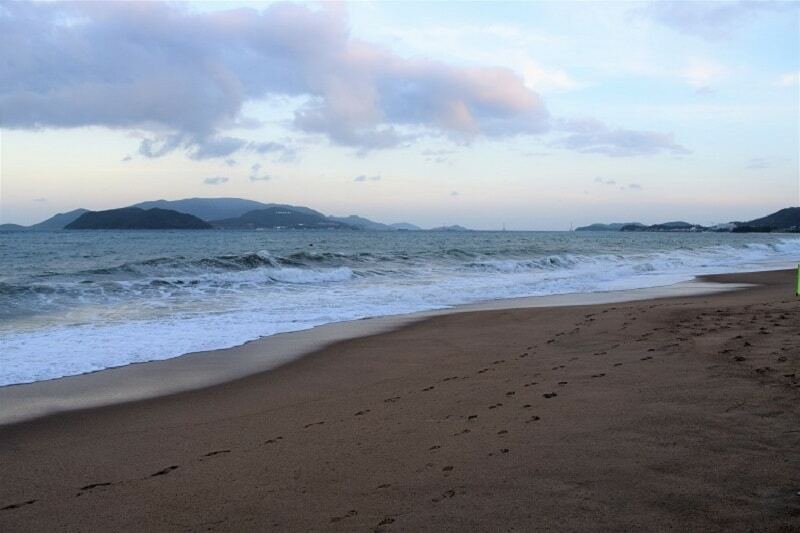 A more touristy resort-type destination, Nha Trang has lots of fun activities for the whole family. There’s also plenty of international cuisines. 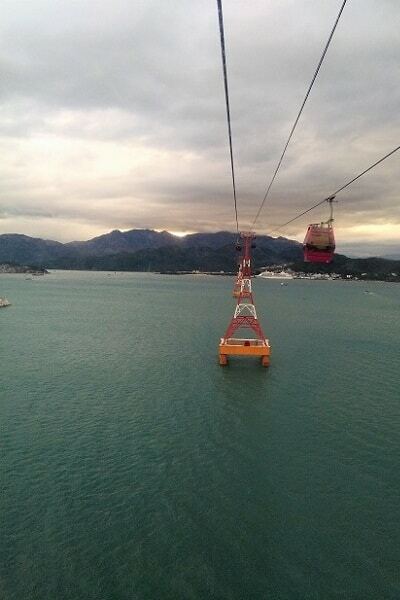 Spend a whole day at VinPearl Waterpark, and make sure you take the cable car across to the island! 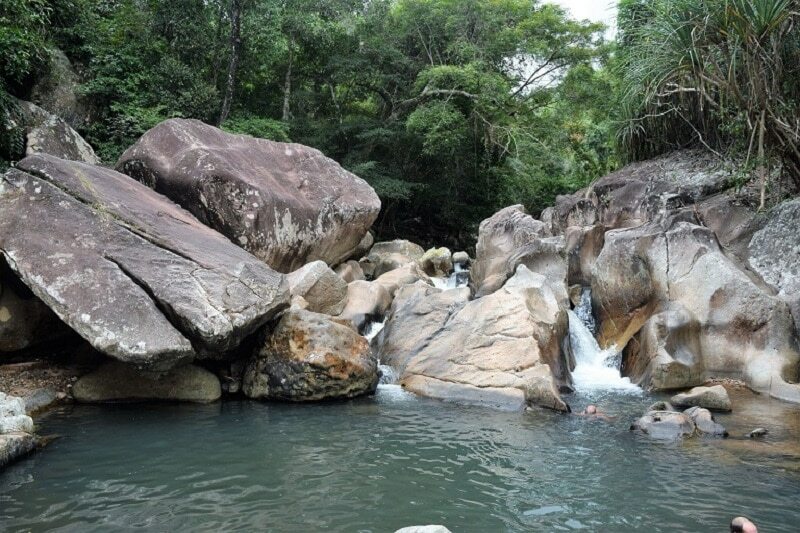 For the more adventurous, you can go scuba diving or take a short trip to the nearby Ba Ho waterfalls. If you’re more interested in relaxing, then you can while away your days at the gorgeous beach, take a cooking class or visit a hot spring. A water baby’s heaven, Halong Bay offers lots of activities such as swimming, fishing, kayaking, snorkelling and cruises. You can even explore the magnificent caves there too. You’ll never run out of things to see in Vietnam. Spend time on the gorgeous beaches in the west, wander around the old towns, drink cocktails in the city and explore the incredible jungles. A few of the top things to do in Vietnam are either free or very cheap too, so you don’t have to worry about money like you would in somewhere like London. Vietnamese food is delicious. Using both Asian and European influences, you’re bound to find a dish that you come to love and crave even after leaving the country. 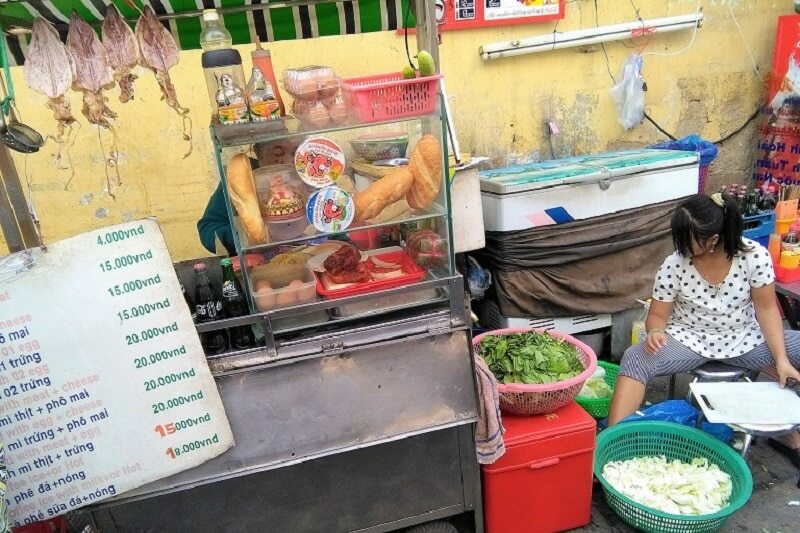 Choose a soft bánh mì sandwich or kebab roll on the street. Or, pick a restaurant heaving with locals for the best phở in town. Drink cheap bia hói on plastic chairs outside – you’ll pay 15p for a glass of this locally brewed beer! – and tuck into freshly made spring rolls. 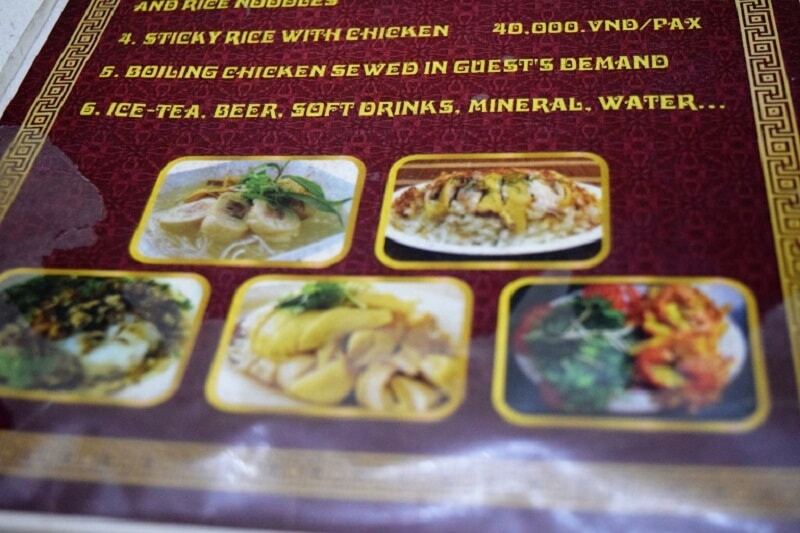 You definitely won’t go hungry in Vietnam! The official language in Vietnam is, shockingly (! ), Vietnamese. Unlike many Asian languages, it uses the Latin alphabet. It can be fairly easy to pick up words that you recognise on menus and signposts. Many people in touristy areas and cities like Hanoi will speak English, and you’ll find English (with pictures) in restaurants. In remote areas, however, you might have to work a bit harder at communicating. Try to learn a few key phrases and words before you go – the locals will appreciate it and you’ll feel less of an arrogant Westerner relying on everyone else in the world to speak English! How much? – Bao nhiêu? Do you have vegetarian food? – Bạn có ăn chay / thuần chay không? Where is the toilet? – Vệ sinh Ở đâu? Thanks to Emily from Wander-Lush for the help with these translations! The local currency is the Vietnamese Dong. Yes, the Dong. 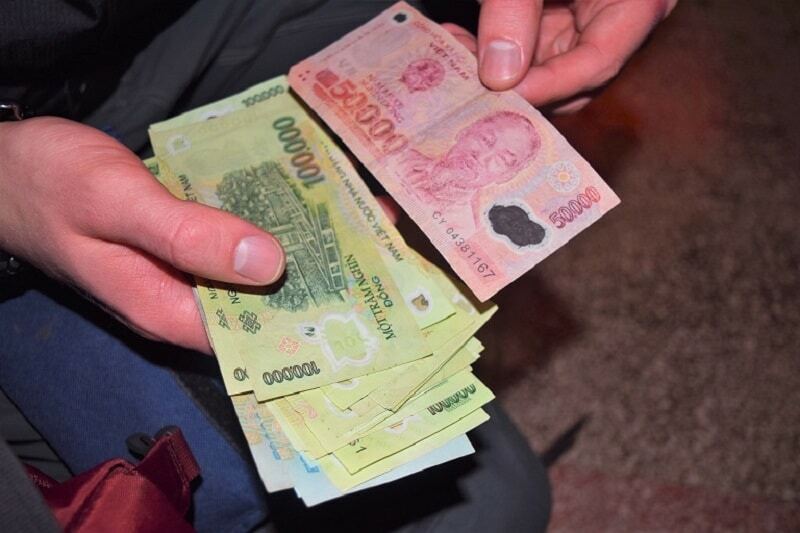 You might be able to pay in USD in many places in Vietnam, but it’s better for you to pay in the local currency. The main rule about staying safe in Vietnam is to have your wits about you and use common sense, just like you would back home! Don’t walk around with your money and iPhone on show, and stick to well-lit paths. I don’t recommend getting a scooter because we have seen so many westerners with bandages and bruises due to motorbike accidents. It doesn’t matter how well you think you drive – a lot of other drivers just don’t pay enough attention to the roads and will put other people in danger. I’ve seen 4 people and a dog on a bike before which just can’t be good for balance!! A lot of people avoid eating street food because they’re worried they’ll get ill from unhygienic stalls. Realistically, the food turnover is so high on the street that it’s generally not stored for long enough to cause any harm, and it will be cooked fresh in front of you. Keep hydrated with bottled water everywhere you go, and always carry anti-bacterial hand gel with you to minimise contamination. Do be aware of meat and fish though – if it’s displayed in a cart with no refrigeration maybe give it a miss! Consider investing in a belt wallet or scarf to hide your valuables whilst out and about. This anti-theft money belt is lightweight, comfortable and great at hiding your personal items. When travelling to any country, you need to be fully aware that you might be scammed because you’re a tourist. Despite being known for its friendly locals, Vietnam is no different. You could be tricked into buying a fake visa even before you visit. Make sure the website you visit is legit – click through from your own country’s government site to be sure. If you’re arriving by land, ensure that you have researched what to expect at the border. Don’t be fooled into paying a random bloke any more money than you need to. If you’ve got all your documents sorted then you should be fine! Watch out for your belongings when walking the streets. Pickpocketers are common, so perhaps invest in a good sturdy day bag. Or, leave your important items in your hotel room. In Vietnam, tours are quite common. Sometimes it is much easier to hire a tour company to organise a trip for you in a foreign country. However, half the time these people are just relying on the fact that you are a tourist. Do your research and see if you can make that trip yourself without paying anyone else to take you there. You might even find a better route or see prettier sights. You can go at your own pace and choose your itinerary perfectly! We loved Vietnam so much that we had added it into our plans to return and work there one day! We experienced so much amazing hospitality, we ate amazing food and we hardly spent any money during our trip. It’s the perfect holiday destination for couples, families and solo travellers alike. There truly is something to do for everyone at all times of the year. Whether you’ve got 3 weeks in Vietnam or 3 months, you’ll see some beautiful sights and enjoy some incredible experiences. It’s safe to go backpacking in Vietnam if you use your common sense and be aware of your surroundings. Going off-the-beaten-path isn’t a great idea if you’re travelling solo or without a tour group. You could easily plan a 3 week Vietnam itinerary that would allow you to explore from the north of the country to the south. If you have a 30-day visa though, use up your extra time and spend a month here. Travelling to multiple countries and short on time? Plan a 1 week Vietnam itinerary and pick 2 or 3 main destinations. 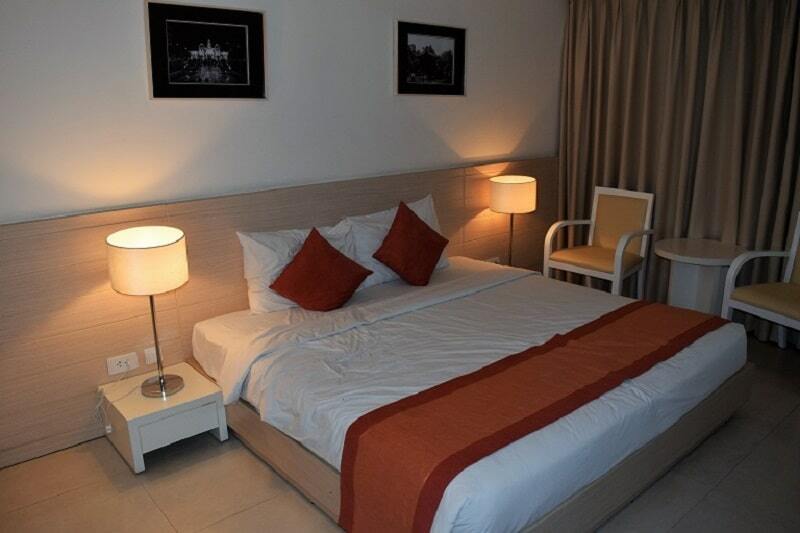 It’s so easy to live off anything from $15 upwards per day in Vietnam, including accommodation. Don’t forget to budget for tours and activities though, as well as transportation. Yes. You will be able to communicate with a lot of people in the cities in English, but it’s always polite to learn some key phrases in the countries you are visiting! Use the Vietnamese dong when you can. If you get charged in USD, then you’ll pay a premium. You will need a visa, but you can get them easily online. Usually, Visa, Mastercard, JBC and America Express will be accepted, but in smaller and more local food joints, you’ll probably only be able to pay in cash. Don’t feel obligated to tip in Vietnam, but if you have received outstanding service then go ahead! It’s not offensive like in some cultures so don’t feel bad either way. Was this backpacker’s guide to Vietnam helpful? Let us know if you have any more questions about visiting Vietnam! Really good stuff guys. That e-visa process was simple for us Americans. Good deal all around. The Vietnamese are friendly and inviting. 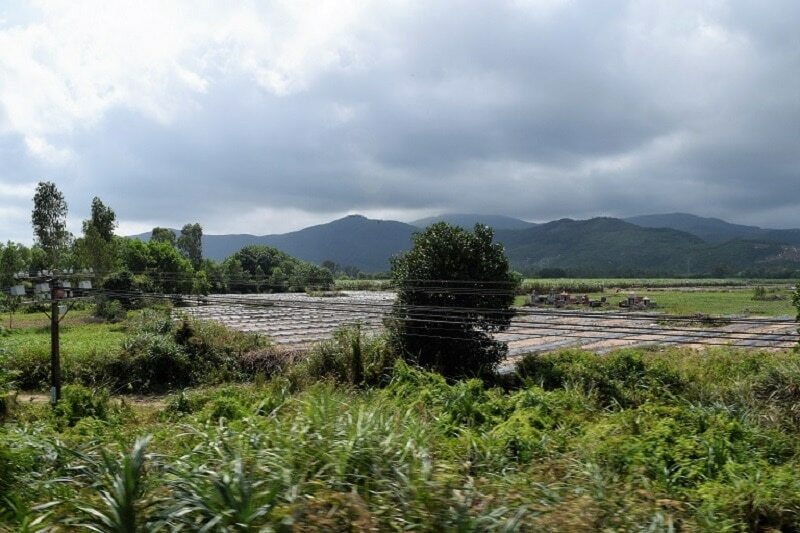 One of the few lands on earth where folks pulled to the side of the road to ask us if we knew where we were biking – in Hoi An – then proceeded to show us around not, not asking for a dime or anything. That left a firm impress on me and my wife as our first experience in Vietnam. Yeah Vietnam hads that impression on us too. I have to say Thailand as well, a lot of the countries around that part of the world are incredibly welcoming.